In an era where news needs to please political guests, the only current unchained commentator is heading for the door. Will his replacement double down or back off? 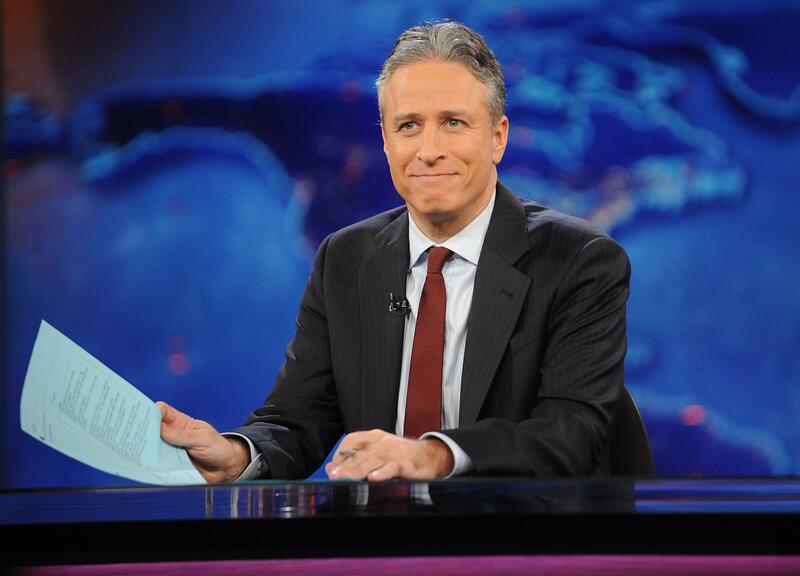 As the weeks advance, what the viewership will lose when Jon Stewart leaves The Daily Show comes into clearer focus. His replacement Trevor Noah was announced this week, and immediately problems arose regarding the choice. This is not about that. It certainly isn’t about the television commentators who have adopted the talking point that Noah will be a good thing for the show because he likely will back away from Stewart’s tactic of the last couple of years of calling out direct falsehoods and hypocrisies of news outlets. (It is tempting to say “other news outlets” but The Daily Show is not one.) The side-effect of these commentators’ wish is to stop hearing Stewart railing against Fox News. Stewart had been known to take a lot of different agencies to task, including CNN and MSNBC, but not at the same rate. The truth is that Fox News tends not so much to “perpetuate iffy material” as they do to make a red cape out of it and wave it frequently and flamboyantly. In that sense, one would have no choice but to be drawn to it as a target. If Noah chooses to make his subject the media, then I absolutely hope he will be more inclusive, keeping an eye on all the outposts, and not just the loudest. The institution that is broadcast news, regardless of the form of idealism it espouses, is fatally flawed. The flaw is a relatively new concept, as is the revenue generation potential of news. (You can practically envision old newsmen in their fedoras shifting in their coffins at the thought of news “revenue generation.”) At the dawn of news broadcasting and well into the mid-’60s, the news division was a revenue drain. It was for the networks much like broccoli — utterly necessary, but hardly enticing. Spreading the news was considered a public service; something stations had to do, not want to do, and definitely not to be able to turn a profit from. It would be only a few years after where stations would try to dress the broccoli in cheese, integrating more celebrity and human interest stories. In moderation, these do not contribute too much of a negative effect. Things started to change with three seminal events that drew viewers to TV screens: the Watergate hearings, the taking of the hostages in Iran, and the shooting of Ronald Reagan. The Iran hostage crisis is what, in effect, created the ABC late night news program Nightline, and the endless loop of Reagan being shot and shoved into his car became so imprinted on the minds of viewers, it was the central theme of a brilliant Saturday Night Live sketch. So the news proved it could get eyes, and by this time advertisers were established parts of the news funding apparatus. But these three occasions proved the scale of news could equal that of other programming, and thus was the proverbial slippery slope greased. As politics became more polarized — and we are told that politics has never been so polarized as it is right now — divisions sprang up to serve specific worldviews, ideologies, and even tastes. That isn’t the biggest problem, which can be seen on the still somewhat neutral NBC standard broadcasting network. On June 13, 2008, the longtime host of Meet The Press, Tim Russert collapsed and later died while working on voiceovers for the program. Russert was considered the quintessential “Big Guy” who took lawmakers and legislators into his confidence, and NBC knew they had a huge problem in replacing him. 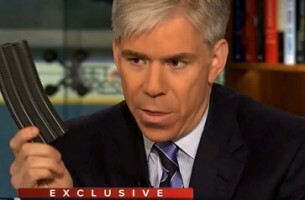 After a brief interim stint with Tom Brokaw manning the desk, David Gregory was named Russert’s successor. Gregory’s tenure is seen through the lens of declining viewership. The far-right were displeased that Gregory was taking sitting President George W. Bush, his cabinet and circle to task. However, Gregory was also seen as been far too accommodating to guests, not confrontational enough, and even rather bland. Machinations behind the scenes were already plotting Gregory’s ouster. According to reports NBC hired a “psychological consultant” to assess Gregory, as well as a brand consultant to help package him. 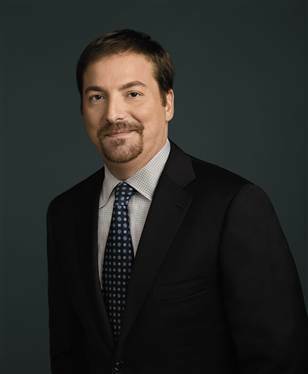 Waiting in the wings was Meet The Press contributing editor Chuck Todd. Todd was previously called out after an appearance on the morning news chat show Morning Joe where he fumbled a question regarding White House messaging on Obamacare, and was seen as accepting false statements from Republicans without identifying the falsehoods. The Internet ran wild with statements that Todd was implying it was not his job to do so. This further added weight to the argument that television news is unnecessarily accommodating, allowing politicians to spread errors and poisoned copy at will without hosts lowering the boom on them, and those who do not play the game will not be in the game for very long. The firing of Gregory was a monumental botch-job, with rumors that he was done-for trotted out virtually in front of him while he was still on the job — a detail that was revealed during discussions of another high-profile NBC figure, Brian Williams, after his recent hiatus for fact exaggeration and conflation. The backstab aftertaste mirrored that of the firing of Ann Curry from the Today Show, where it seemed like the only news on the organization’s mind was when they were going to cut her loose. The bookend to this is that Chuck Todd, the man presumed to have believed it was not his job to call out guests on inaccuracies and falsehoods, did indeed become the host of Meet The Press. To be fair to Todd, it was always going to be him when eventually Gregory left, and ambition is never exclusive to one or two individuals in any organization. It is that NBC’s whole process was handled as elegantly as sharting in tan khakis. It was messy, smelled bad, and was visible to everyone. Why would a news program, any news program on any station, tolerate unchecked, unfiltered politicos on their programs? The answer is “The Big Get,” or rather, being able to get those big guests that people will tune in for, that do not like to be made to look like liars on TV, do not like waking up early on Sunday morning to be roughed up by some punk behind the desk. If you do not play nice, you are less likely to score the Big Get; you do not get those guests, people may not tune in; if they don’t tune in, the ads don’t get seen, and the money from advertisers dries up. That is why news is often at its best when it is broccoli, straight out of the hot water, no cheese, please. The monetization of the news is exactly parallel to the monetization of political life in that you’ve created systems that depend on serving two masters. Which brings us back to Jon Stewart and The Daily Show. As I said from the start, it is not really a news show, and Comedy Central nor HBO (with Daily Show alum John Oliver’s Last Week Tonight) aren’t news organizations. Yes, specific to Comedy Central there is still the need for advertisers and their desires, but without the burden of having to placate a senator, representative, ambassador, governor, or administrator, the freedom is there to actually pin the lie to the liar without the ramifications of angering those other masters. In fact, one of the two are quite pleased by it. Again specific to Comedy Central, they were so pleased that they doubled down on it for years with Stephen Colbert’s spin-off Colbert Report. The overarching question is will Noah have the same incentive to call out those who are egregiously waving that red cape, or will he be the nice guy for a while, eager to try to fit into this new organization before he feels confident enough to do…whatever? Will he also fear that if he does not play the game, he will not be in the game for very long? In the messed-up, funhouse world of news transmission, the worst thought is that the true news companies are so compromised in their existence that they can no longer actually do the job as it needs to be done. They produce celebrities now; not any grizzled Edward R. Murrow types, if I may momentarily romanticize things. Stewart was as close as we had to that level of unchained reportage. I hope Trevor Noah will not fall back but will instead charge harder. If not, there’s not much left to count on, other than softballs, a swing, and a miss.